The Christian Brothers are at the heart of everything La Salle stands for. 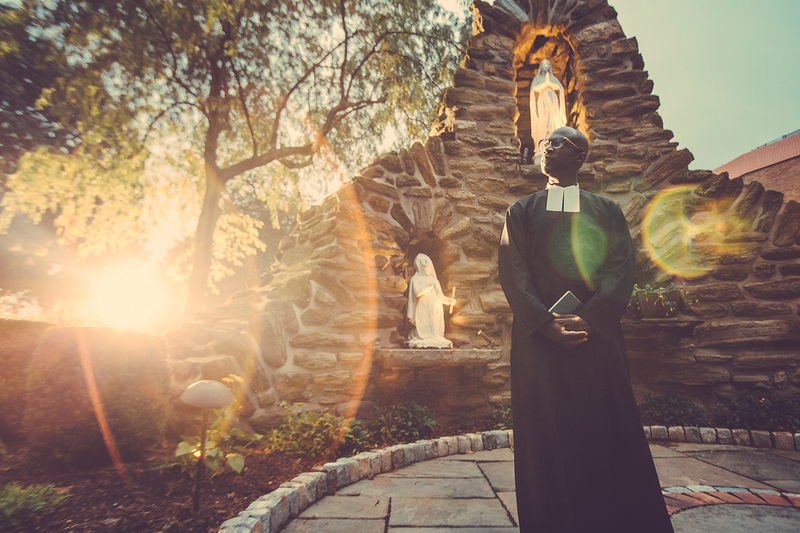 Guided by faith, service, and community, our Brothers are a part of something truly special: a global network of teachers and scholars, united by a centuries-old Roman Catholic mission to serve others through education that embraces all. No, the Christian Brothers aren’t priests. They don’t have sacramental responsibilities or take Holy Orders. De La Salle decided he and his Brothers could best fulfill their purpose by focusing on the ministry of teaching. Our Brothers live on campus. You might see them in line at the Union building, chatting with students and ordering lunch at Starbucks. Some wear traditional attire, while others are less formal. They are often referred to by their first names, like Brother Ed or Brother Joe – a sign of familial respect and affection, not unlike a “big brother.” They come to us from all walks of life, fully equipped with inspiring and humorous tales, personality quirks, and infectious smiles. The Brothers of the Christian Schools was founded in 1680 by Jean Baptist de La Salle, the Patron Saint of Teachers. De La Salle hailed from a wealthy family in Reims, France, and earned a doctorate in theology. A chance encounter with a man who wanted to start a school for the poor eventually became De La Salle’s calling. With the help of a small group of laymen, De La Salle would leave his prospects of comfort and luxury to establish schools that educated the poor children of Reims and beyond. Today, about 5,000 Brothers and over 80,000 lay associates come together to uphold the Lasallian mission. They educate approximately one million students in 82 countries every year.